We're always on the lookout for highly motivated and resourceful individuals, who can both contribute to and be part of a proactive and customer-focused team in a positive work environment. Family owned and operated, Fields Auto began with the opening of Fields Cadillac in Evanston, IL in 1971. 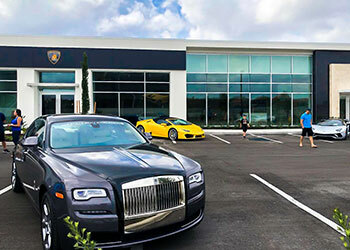 Currently, we represent BMW, Mercedes-Benz, Maserati, Land Rover, Lexus, Volvo, Rolls-Royce Motorcars, Bentley, Lamborghini, Jaguar, INFINITI, MINI Cooper, Volkswagen, Jeep, Sprinter, Porsche, Ram, Chrysler, Dodge, smart and Cadillac. We also carry an extensive selection of pre-owned vehicles, many of which have extended warranties thanks to manufacturers' Certification Programs.